Our largest below-zero pack. 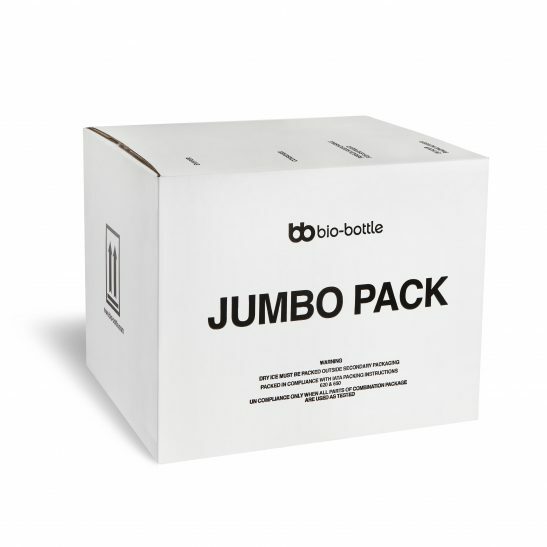 Able to take multiple bio-bottles or bio-pouches, and with up to 25kg of dry ice, the Jumbo pack is great for keeping specimens frozen for up to 5 days. Combination with any of our bio-bottle or bio-pouch complete kits makes this product PI620 compliant. Also available with an additional polystyrene lining, to maximise insulation and cut down on excess weight.